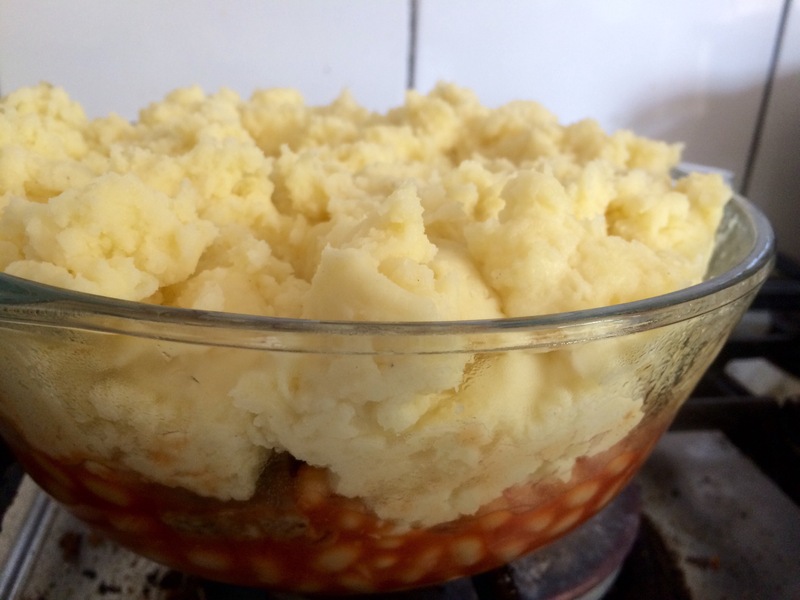 Home › Lunches › This is an old school food classic.. Bangers, mash and beans ‘pie’..
Making dishes that embroke memories .. Memories of those hazy days of summers.. Long summers..
Actually this has nothing to do with summers at all! I dated a girl as a teenager and her mom used to make this dish.. Does the dish remind me of the girl? Nope.. (Sorry!).. It does though remind me of a great food stuff! 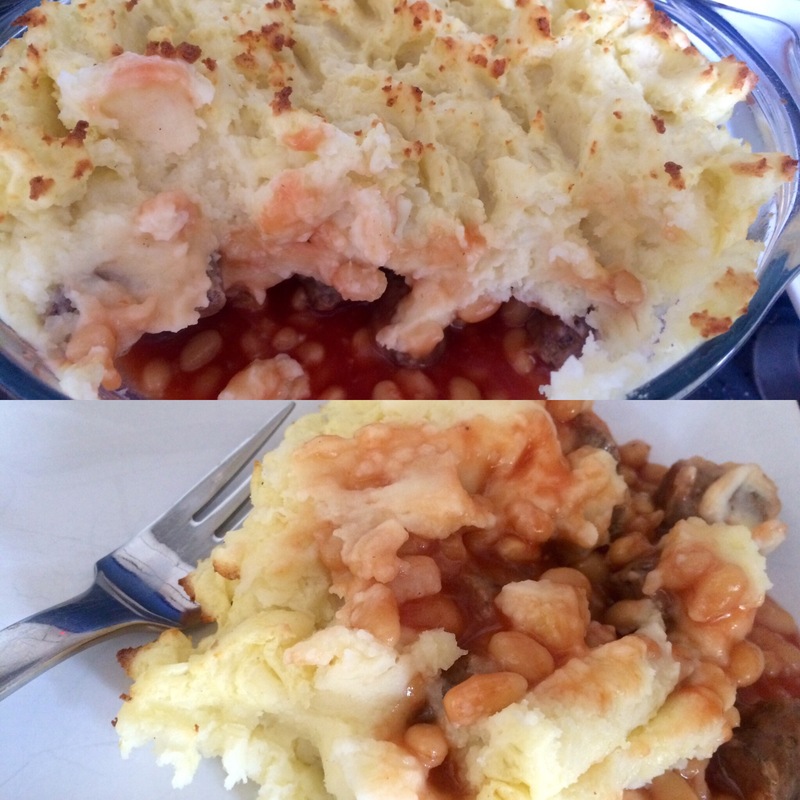 Although I am quite sure hers was made with smash instant potato and not so hot sausages.. If I am wrong then again I am sorry! 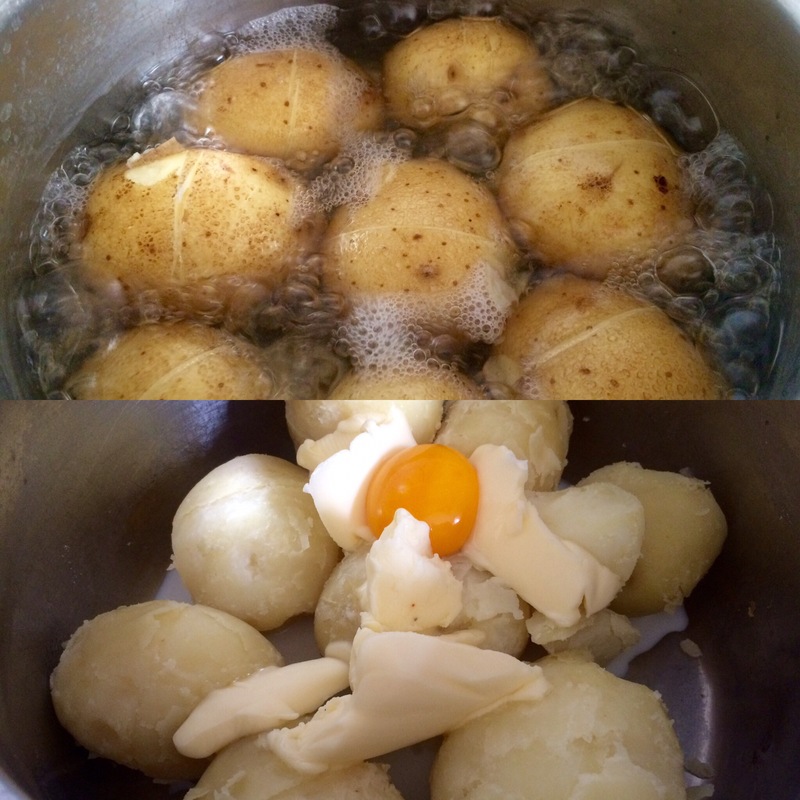 My version is made with some of those old English sausages made the other day.. They were baked.. And kept as scoobly snacks in the fridge.. So they needed eating..
A mash made by boiling Maris pipers and then skinning them.. A neat way of doing this is to run a knife through the skin all the way around them.. Then boil them.. The skins just fall away so paper thin! Milk, butter an egg yolk and white pepper with maldon salt.. That’s a rich mashy! 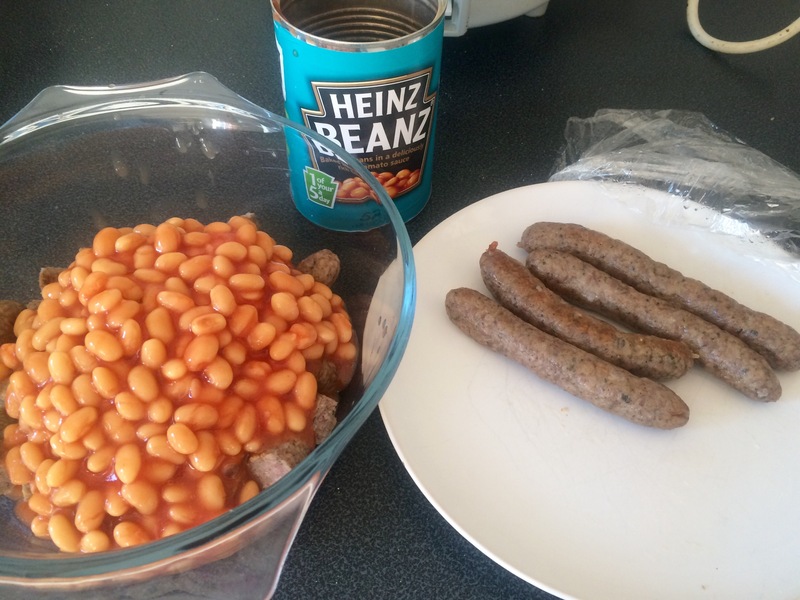 The sausages and beans into a pyrex for memories.. It needs to be that mad ratio for superb effect! ( think big Valium dosage type bliss out post eating!).. Into a hot oven to cook crisp and reheat..
‹ Leftover baked potato Falafel battered bites!